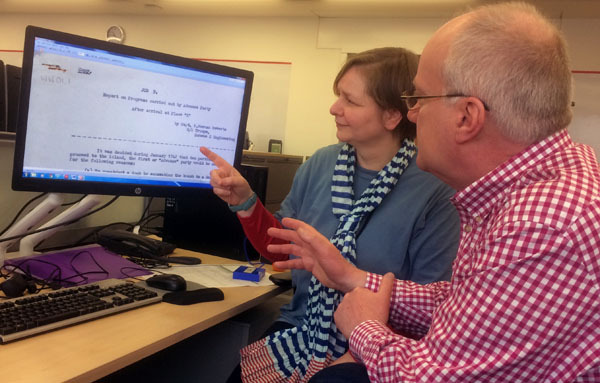 On Thursday 12th April 2018, I delivered a cache of digital archives and catalogue information to Jody Butterworth of the Endangered Archives Project at the British Library. 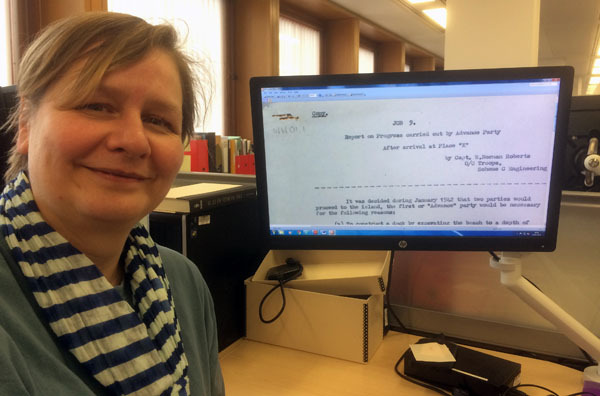 The files were carried from Tristan by Colette Halter-Pernet who's been working with Dawn Repetto on Tristan's Endangered Archives Project and she handed them to me at the Tristan Annual Gathering which took place in Southampton on 7th April. All the original files remain on the island. code for the military radio base on Tristan during World War Two.